Lower Back Pain When Sleeping: Which Position is Best? 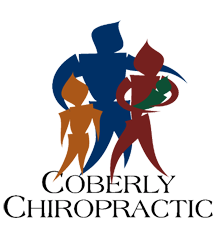 – Coberly Chiropractic, Inc.
Sleep. New parents chase it, Type A personalities fight it, but everyone needs it. Thing is, most people don’t get enough of it. According to the National Sleep Foundation, 45 percent of adults in the United States report that in a seven day period lack of sleep affected their daily activities. Sleep is vital for good health. The Centers for Disease Control (CDC) cites insufficient sleep as a contributing factor to a variety of conditions including obesity, diabetes, depression, and cardiovascular disease. It is also a significant contributing factor in many machinery related crashed, worksite accidents, and automobile accidents, leading to injury, disability, and even death. Sleep allows your body to heal and the spine to rejuvenate. It helps you handle stress better and manage pain more effectively. It is an important part of good health so making sure that you get good quality sleep should be a priority – and it is possible. These are the best sleep positions to get your best sleep when you have lower back pain. If you sleep on your back you likely won’t be comfortable just lying flat. Try different positions such as placing a rolled towel under your knees or the small of your back to provide added support. Use a good pillow to support your neck. There are pillows that are made specifically for people who sleep on their backs; you may want to give it a try. The position that you sleep in can help relieve your back pain, but getting good quality sleep will help you manage your pain much better so it should be your goal to get good, restful sleep every night. You should change out your pillow on a regular basis. Pillows can get worn and no longer deliver the support they once did. If you are waking up with neck or back pain or headaches it could be your pillow. Additionally, studies show that making your bed every day improves your quality of sleep. Make sure that the temperature is comfortable and avoid electronic devices for about an hour before bedtime. Be good to your body; make sleep a priority.